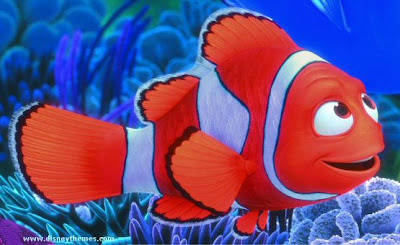 Nemo belongs to a group of fish commonly known as Clownfish. The scientists have given Nemo the scientific name, Amphiprion percula. Clownfish have a very interesting relationship with the anemones in which they live and produce their young. Because of this relationship, Clownfish are often also known as Anemone Fish. Although Nemo is now bred in large numbers in tanks, owning a Nemo clownfish impacts on the fish populations of the oceans, because some are still captured from the wild for the aquarium trade. I know this because I have been helping Dennis Polack with Fishwise Pro, an extensive fish database that he is publishing on the web at www.fishwisepro.com. To quote the instructions on the web site: Go to Common Names, click in the "Used In" column filter and type "Disney". This will show all the Disney cartoon characters that are fish. Look for "Nemo" and click on the record. Click on the "Back: Species" link to find out about Nemo's Species. 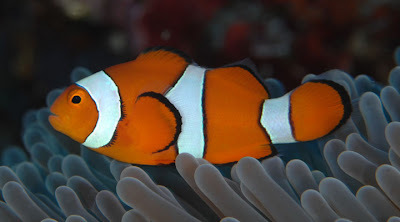 Click on the species record and choose "Pictures" to find 11 photos of Nemo's real life relatives, Amphiprion percula ("Clownfish"). Sally Polack took the best picture, shown here. Dennis would also appreciate any comments or feedback on the site. There are currently 33,200 pictures on the site, covering most of the known fish species. 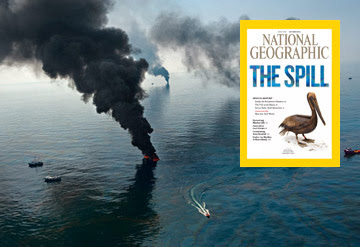 After reading the October 2010 edition of National Geographic, I wonder how long it will be before Nemo and most other fishes are extinct. Read "Time for a Sea Change" and buy the magazine to see the maps of how we are over-fishing the oceans. Then check out their 2007 coverage of the oceans, and weep.